MMS Lists, a marketing agency that offers email marketing services and email lists to businesses that advertise to professionals in the healthcare industry, recently released an infographic based on statistics from their 2015 email marketing campaigns. These statistics are mostly related to the top email clients and devices used by healthcare professionals, and they provide some insight on the behaviors of professionals who receive marketing emails which can be useful to anyone running an email marketing campaign. 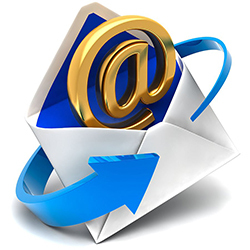 • Importance of Email Marketing: MMS Lists found that email marketing has a high ROI of $38 for every dollar spent. Up to 73 percent of healthcare professionals prefer email as the best way for companies to market to them. • Top Email Clients: The top email clients used by healthcare professionals are iPhone, Apple Mail, and Outlook. Mobile users overwhelmingly preferred Apple iPhone email, the preferred email client for desktop users was split closely between Outlook and Apple Mail, and healthcare professionals using webmail preferred Web Version with Yahoo! Mail and Gmail not far behind. • Top Devices: 63.6 percent of healthcare professionals used mobile devices to read their email, followed by 20.4 percent using desktop computers and 16 percent using webmail. You can read the full blog concerning this data, The Importance of Email Marketing, on Proceed Innovative’s website and view the email marketing infographic from MMS Lists.